I am thankful for all the lab scientists who work tirelessly to keep our communities healthy and safe! I am thankful for all of the public health workers, advocates and leaders who are tackling emerging infectious diseases like Ebola and Zika both in the US and around the world, especially those on the front lines putting themselves at risk for a greater good. I am thankful for strong public health surveillance systems. These enable effective prevention measures and swift interventions to limit the spread of disease. 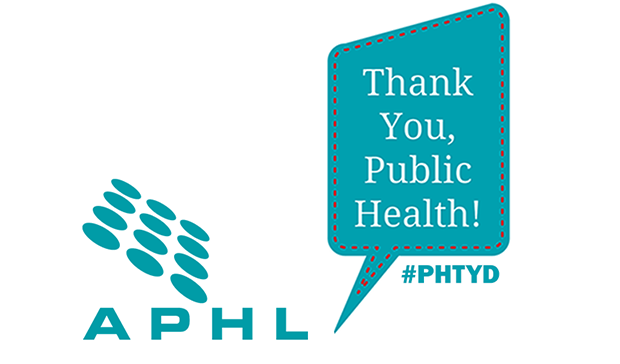 I am also grateful to have a career supporting public health! I am humbled to work among the dedicated talent in the public health community. It is so fulfilling to have the opportunity to make a small contribution toward improving the health and lives of others. I love to travel. Unfortunately so do plenty of germs. I’m grateful for the information sharing, awareness, understanding, proactive interventions and protective actions provided by the public health community to prevent problematic concerns and protect the world’s population from pandemics. Though there’s no panacea it’s nice to know a variety of personnel in various agencies worldwide are working towards the common goal of a healthier quality of life for all. I’m also grateful for the opportunity to play a small part in improving the livelihood of many by working in public health. Thank you, public health, for creating new avenues of support for marginalized and underrepresented populations both within the US and abroad. Thank you to the unsung heroes who tirelessly fight daily to prepare, detect and eradicate infectious diseases yet their stories are left unheard by the public ear. And, most importantly, thank you, public health, for bestowing us with the ideal that humans, animals and the environment are interconnected and should be treated as such. 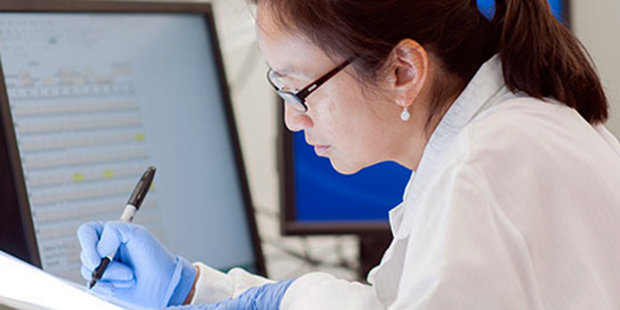 I’m thankful for the dedicated and trained scientists who are studying Zika Virus to determine how to prevent and/or treat this devastating new disease. I’m grateful this new knowledge will help prevent illness from yet-unknown diseases of the future. I am thankful for my public health colleagues, classmates and mentors who work hard every day for the betterment and well-being of this world. I’m so grateful to know and learn from all of you. I’m thankful to live in a country with one of the safest and most secure food supplies in the world. I am thankful for the ability to wake up every day and contribute positively to my family and community. I am thankful that I can do all this because of APHL. My grandmother had polio as a child, which left her with a deformed and obviously painful (but never complained about) foot. Even into her 80s, she would only say she caught her foot in the spoke of a bicycle wheel, carrying the stigma from those days with her throughout her entire life. Her mental and physical pain is something that has been eradicated from most of the world, and for that, I give a big Public Health Thank You! I am thankful for the resilience and persistence of the public health community at large. As they face a seemingly never-ending stream of new and reemerging diseases and other challenges, the community always rises to the occasion. I am thankful for and appreciate the collaboration and cooperation that comes naturally to our public health family. Regardless of area of expertise, those who work in public health are always willing to put their minds together, looking for solutions to both new and old public health problems. I am thankful for global public health efforts, because they give me HOPE. I know firsthand the effects on a society that is not public health educated including lack of clean drinking water, large groups of a population with poliomyelitis, high infant mortality rates and many more. It has made me more aware and grateful to now live in a society that is safe because it is public health educated. I am even more so thankful that I have the opportunity to work with so many amazing people who are passionate about protecting and educating other societies on the importance of a functional and effective public health system. I’m thankful for the public health teams around the country that have worked long days and nights to protect US resident from the spread of the Zika virus.